Alice, 37, is a chartered legal executive and lives just north of Norwich, allowing her to regularly pop over to North Norfolk to enjoy all the attractions on offer. 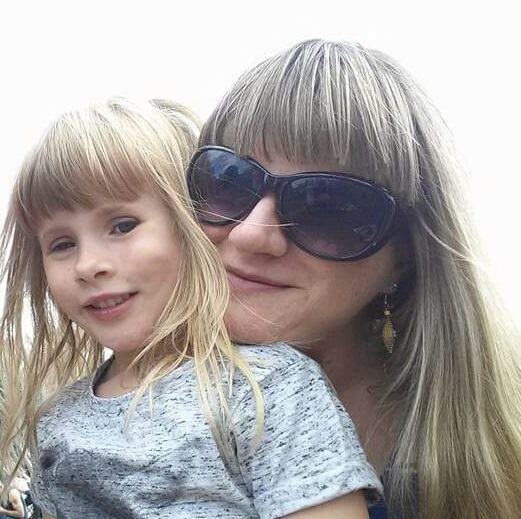 Outdoor and family-friendly activities are Alice’s favourite, plus her daughter loves anything to do with animals. One of their favourite haunts is Wroxham Barns, but the family love other places in the area too. “I’m an outdoors person and happy to either go somewhere for a specific reason or just wander and see what we find – anywhere rural and unspoilt with lots of photo opportunities. Recently I’ve enjoyed a day out in the gardens at Holkham Hall, the Wells Pirate Festival and walked around Natural Surroundings wildlife garden near Holt. “It’s nice to head to Holt for mooching around shops. There’s also Byfords for refreshments, and FairyLand events at Holt Hall are brilliant for little ones. Pretty Corner Woods near Sheringham has events put on by the local authority for kids – we spent a day wandering around the trails, then took part in a supervised pond dipping activity and finished up with a coffee and cake break at the tea shop there. Alice loves the beaches in North Norfolk too. 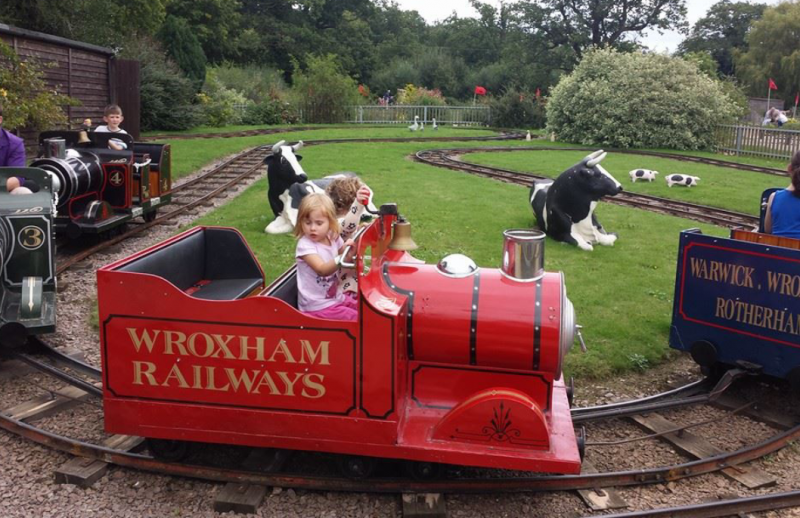 Wroxham Barns is a leisure and activities complex situated in picturesque Hoveton, with a large petting farm, picnic area and various other outdoor activities. Alice and her family are regular visitors to Wroxham Barns, having had season tickets for a number of years. They go as a family or sometimes Alice will pop in for an hour or two with her daughter. “It’s somewhere I often go just me and my daughter as it’s quite easy to look after her there. We also go for the annual summer picnic, lamb feeding and Father Christmas visit, along with my friend and her daughter. The only charge is for the Junior Farm and under twos are free with season tickets. Parking is also free, making it a cheap day out for the whole family. Owner, Ian Russell said, “We are very proud to work with our fellow visitor attractions to make this county such a fabulous destination to visit. We have a team of wonderful staff, very talented craftspeople and specialist studios as well as some brilliant Norfolk food producers who all work hard to make Wroxham Barns a special day out”. If your children are animal mad like Alice’s, the Junior Farm is the perfect place to interact with and learn how to care for a range of friendly creatures. “The Junior Farm has goats, sheep, cows, pigs, donkeys, ponies and chickens, whose eggs you can collect if you get there early enough. Down by the pond are wild birds, ducks and geese. If you want to get more hands on, you can buy feed for the animals and poultry, or bottle feed lambs and calves depending on time of year. Throughout the day you can learn about the caring and feeding of the animals – no need to book. There is a small animal’s barn for cuddle sessions with guinea pigs, chicks and rabbits. If you’re looking for something a bit more active to do, there are plenty of outdoor things to choose from at Wroxham Barns. Or if art is your thing, take a look at the exhibits by local artists. “In summer, the outdoor picnic and play area is lovely to relax at. There’s also crazy golf and a funfair in high season, plus they’re visited by a circus in some holidays. We usually go to the funfair days with my friend and her daughter. Both girls have always loved the train, but as they’ve got bigger they now really love the cars they can drive themselves in. Wroxham Barns holds numerous seasonal events throughout the year, including Easter egg hunts and summer picnics, and is renowned for its large variety of shops – ideal for finding unique presents. “We went most recently during October half term when there was free face stencilling and a Halloween trail,” says Alice. “You had to work out clues by each animal to collect a letter, make up a word and enter a competition. The junior farm was all decorated for Halloween and there was a pumpkin carving competition, from which we stole lots of ideas for our own carvings! Ian Russell is very proud of the events on offer. 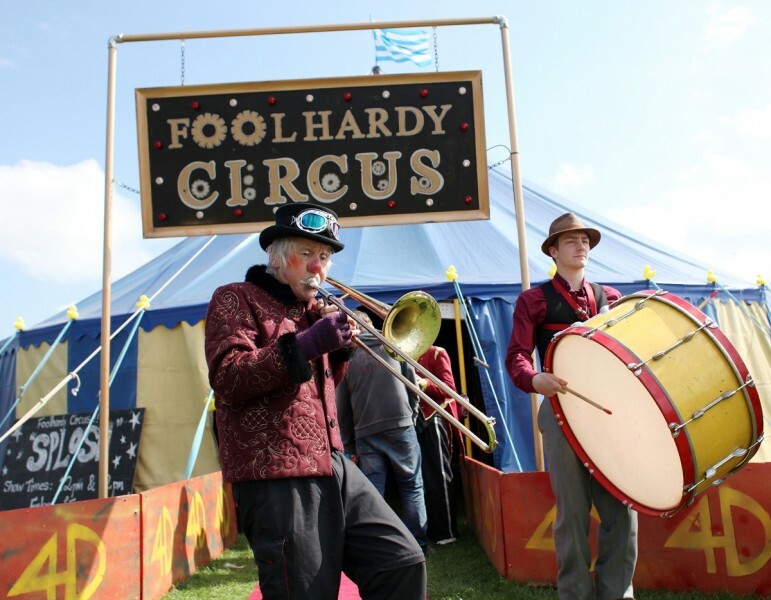 “We host a year-round programme of fun events at Wroxham Barns, including the fabulous Foolhardy Circus. There’s plenty of school holiday fun on Junior Farm with activities at Easter, Halloween, the summer holidays and half-term holidays too. After an exhausting day with the animals and activities, Alice finds that Wroxham Barns’ range of eateries are always a welcome sight! “Outside the farm there’s a restaurant with a full menu and a slightly cheaper snack and drink cafe. Both are very good, using locally sourced ingredients and offering artisan products. It’s nice to see kids properly catered for in both – no chicken nuggets and chips combo to be seen! Even though the complex has a primary focus on children, Alice always enjoys her visits and would happily recommend Wroxham Barns to other families. Wroxham Barns is free and there is a large free parking area for cars and coaches. 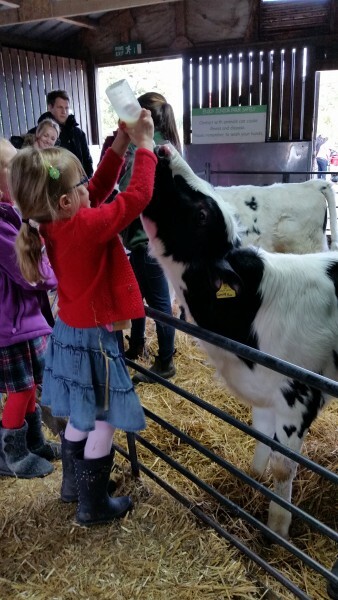 The Junior Farm costs £6.50 pp and under 2s go free. 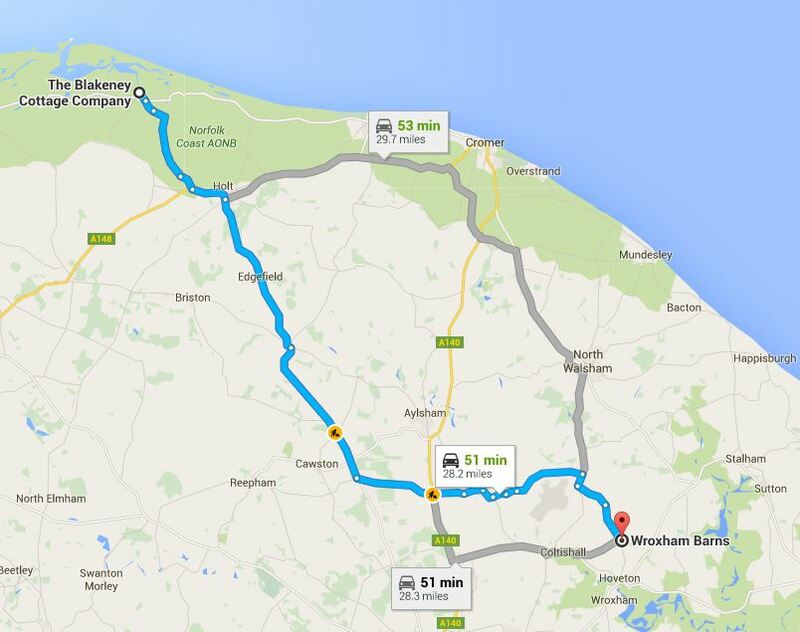 Wroxham Barns are a 50 minute drive from the Blakeney Cottage Company HQ in Blakeney.